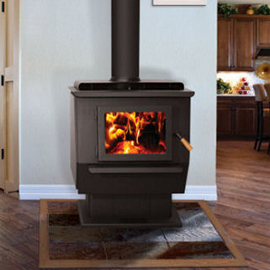 At 88% efficiency (82% HHV) the King is the most efficient wood stove in the world. 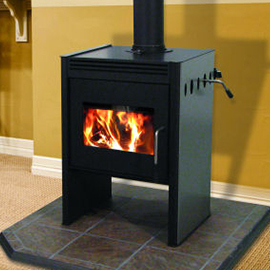 This allows you to get the most heat out of your wood to reduce your heating costs. 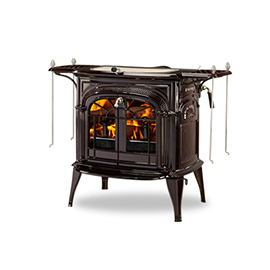 The King has the largest and deepest firebox of any stove on the market and is for serious wood burners. 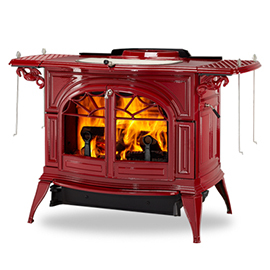 This stove is great for families who live in colder climates, have larger homes or need heat for longer periods of time. You can fit up to 91 lbs. of wood into the King’s 4.32cu.ft. firebox. That’s equal to 703,390 BTUs of available wood energy. 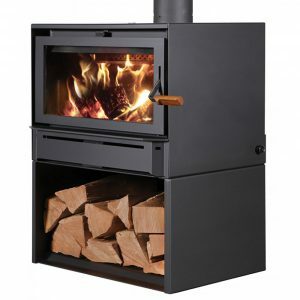 The King can burn for 40+ hours on low or produce a tremendous amount of heat for 12 to 16 hours, depending on your installation and wood type.